Buddhists demonstrate against the government of Tran Van Huong. The demonstrations continue and intensify, until the Armed Forces Council ousts Huong..
Prime Minister Nguyen Khanh had a stormy premiership from the very beginning. Demonstrations began almost immediately demanded an end to restrictions. Thousands gathered in front of his office and on August 25th he resigned temporarily. He returned to office a few weeks later. The army generals were not happy with Khanh and son September 13 a few generals staged a coup. The coup quickly fell apart, one of the key people putting it down was the young commander of South Vietnamese air force Nguyen Cao Ky. Tension remained high between the military at Khanh. The Americans were deeply involved in trying to keep peace between South Vietnamese leaders, mostly unsuccessfully. 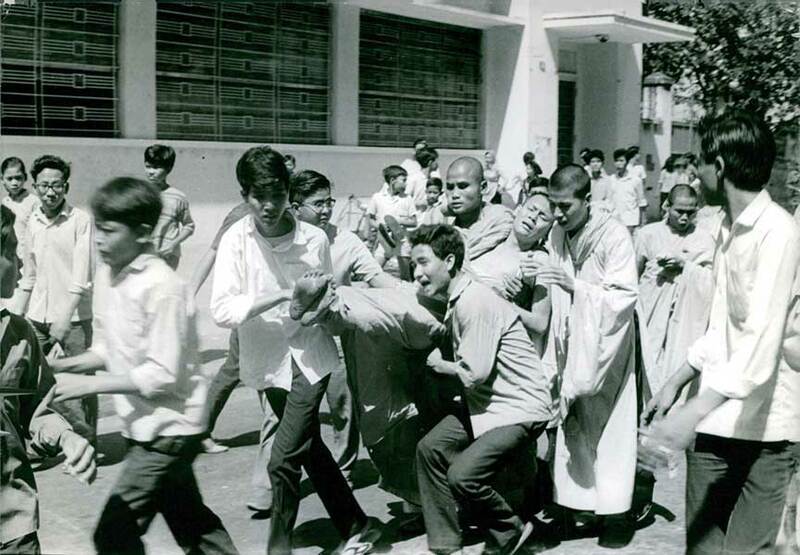 In early January 1965 Buddhist once again took to the streets to demand that Khanh resign. This time the demonstrators also turned on the United States. At this point General Ky and others began to plot Khan’s downfall. A pair of young officers plotted a new coup and General Ky once again came to Khanh defense, however this time he used the excuse together with demand the Khanh resign. He did and left the country never to return.